Climb it Range’s very own Jim Langley is featured on CBBC’s Hero Squad on 5.30 pm this Wednesday 13 November, training young cadets in Mountain Rescue. Below he explains how he got involved with the team and why he carries on rescuing people who get into difficulties on the mountains of Snowdonia. 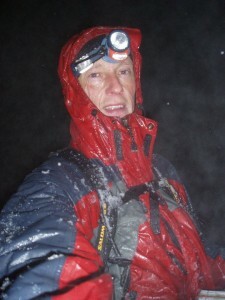 “ I first got involved with the Mountain Rescue way back in 2007. I was living in the area and worked in the outdoors. I had friends in the Team and was asked if I wanted to come along. I jumped at the chance. I went on an assessment day. 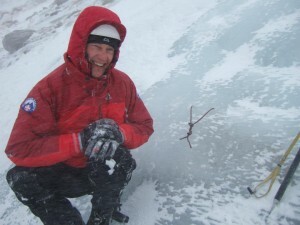 They can teach you how to rescue people, but you already need to be a good climber and confident in the mountains. Fortunately, I passed and have been involved ever since. There are mountain rescue teams in all mountainous areas of the UK. I’m in the Ogwen Valley team. We cover a part of Snowdonia which includes Tryfan mountain, the Carneddau and Glyderau ranges. It’s one of the busiest climbing areas in the UK, and we are a particularly busy team. Already this year we have had 83 call outs, that’s almost two a week. It can be difficult and challenging as times – just imagine getting the call at 11 pm on a cold and windy night. You’re tired. You know you’ve got a busy day’s work tomorrow. You just want to go to bed… You don’t though. You get your gear on and get out there doing what you can to rescue people. I do it because it’s tremendously rewarding . It’s incredibly satisfying rescuing someone off the mountain – bringing them down to safety. There’s also a tremendous camaraderie and togetherness in the team. No one is paid. Everyone is there because they want to be and believe in what they are doing. It’s a great buzz, and very different from anything you get in your working life. It can also be really exciting. Who else gets the chance of being winched off a helicopter at night onto a mountain top? Climb it Range have designed a T Shirt to raise money for Ogwen Valley Mountain Rescue http://www.climbitrange.co.uk/design-service. This can be bought at http://www.ogwen-rescue.org.uk/333/merchandise.php and are also for sale at Cunninghams Betws y coed North Wales. 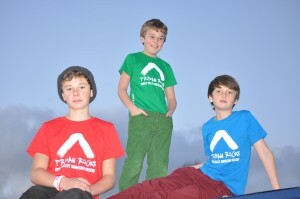 Climb it Range designed this T shirt as a fundraiser for Ogwen Valley Mountain Rescue. CBBC Hero Squad can be seen on CBBC 5.30 on Wednesday 13th October.